Grace E. Hurney is an Associate in the Firm's Labor and Employment and Litigation groups, focusing on employment litigation and traditional labor relations matters. She practices out of the Firm’s office in Charleston, West Virginia. Grace represents employers in a wide range of employment matters, with a primary focus on employment litigation. Her practice spans a variety of industries, including healthcare, energy, utilities, and manufacturing. She regularly represents employers in cases filed in federal and state courts, as well as before arbitration tribunals, including claims of breach of contract, wrongful discharge, discrimination, harassment, and retaliation. In her labor relations practice, Grace represents management in grievance arbitrations and defends employers against unfair labor practice charges filed with the National Labor Relations Board. She also defends employers in federal court against claims brought under the Labor Management Relations Act. Grace is also a part of the niche practice within the Firm that handles private adoptions. Grace represents prospective adoptive parents in contested and non-contested adoptions in state court, and also represents both birth parents and adoptive parents in adoptions involving the Interstate Compact on the Placement of Children. 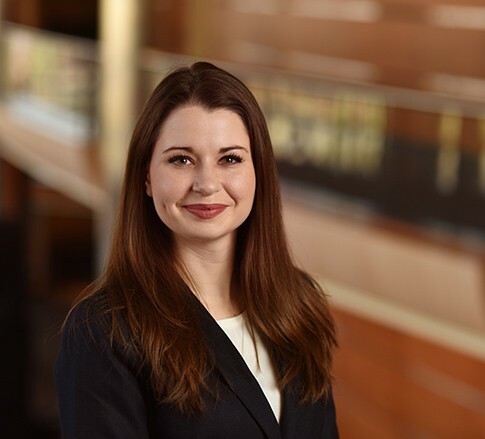 Grace joined Jackson Kelly upon graduation in 2015, and returned to Jackson Kelly in 2017 after serving as a law clerk to the Honorable Robert B. King of the United States Court of Appeals for the Fourth Circuit, an experience which provided her with invaluable and extensive legal experience early on in her career, exposing her early on to complex appellate issues. As a litigator, Grace enjoys any situation where she can think on her feet while advocating for her client, whether it’s presenting an argument in court or deposing a witness. Grace is an accomplished orator, honing her skill for argument during multiple undergraduate national mock trial competitions — she made it to the semi-final rounds during both her junior and senior years at Concord University — and to the final round of the West Virginia Invitational Tournament (the Lugar Cup) at the West Virginia University College of Law. Grace enjoys reading, traveling, and cheering on the West Virginia University Mountaineers — and she mildly tolerates running. She furthered her life-long love of politics during her time as a student at Concord University, where she served as President of both the Student Government Association and her undergraduate sorority, Sigma Sigma Sigma.